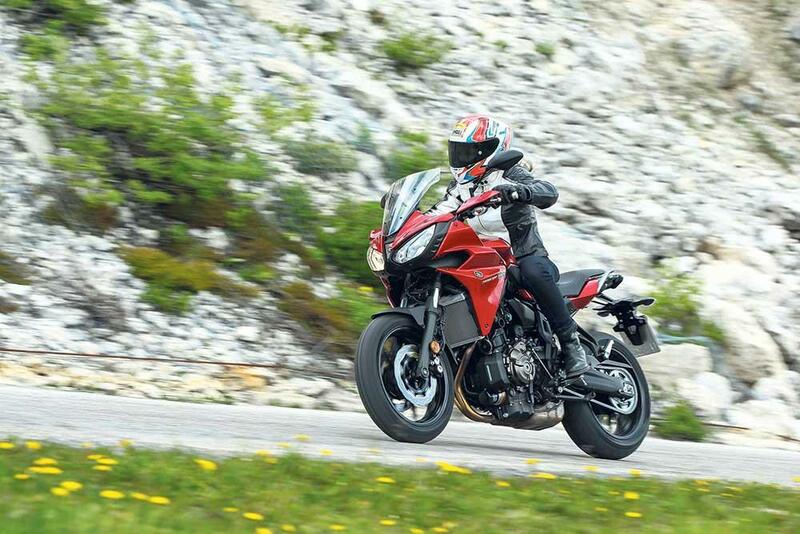 The Tracer 700 ticks all the touring boxes. 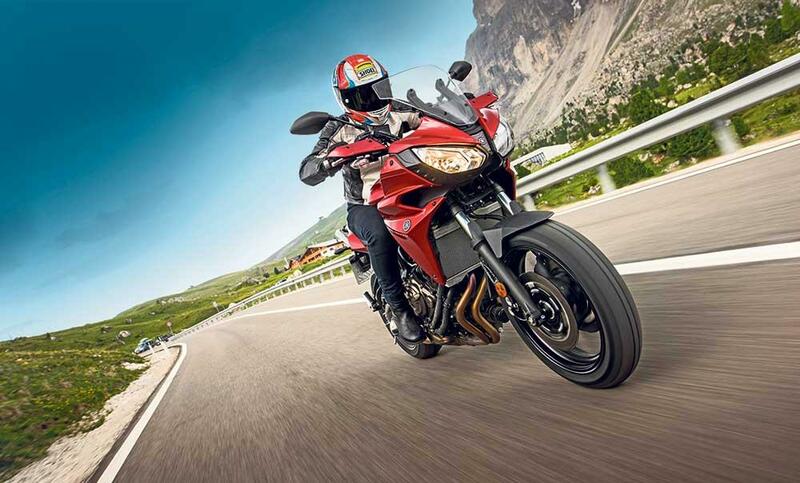 Yet with its class-leading low weight, easy-to-use engine and agility, it’s the perfect fun bike too, and proves that sports-tourers don’t need to be big, bulky and expensive to put a smile on your face. The pick-up from the Tracer’s cable-actuated throttle is perfect and the fuelling feels good too. 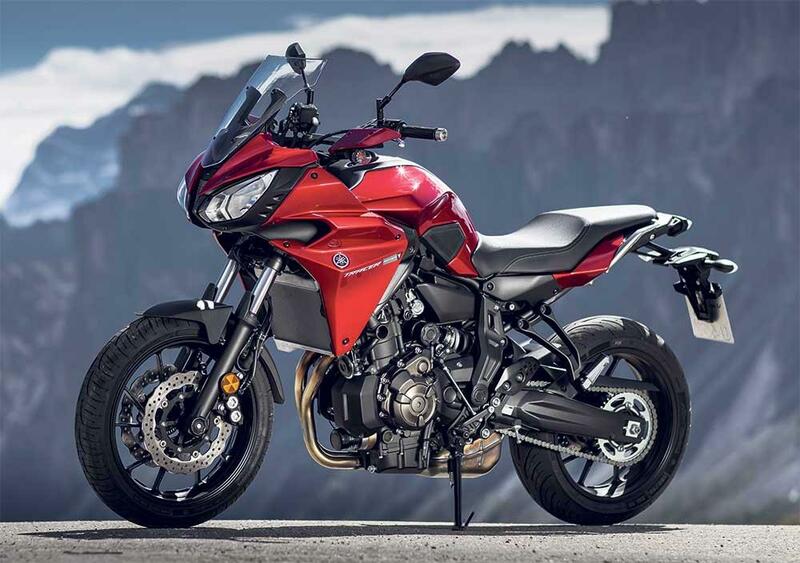 Flicking from side to side requires zero effort as the new Yamaha strikes a brilliant balance of feeling extremely light between your knees without feeling flighty. 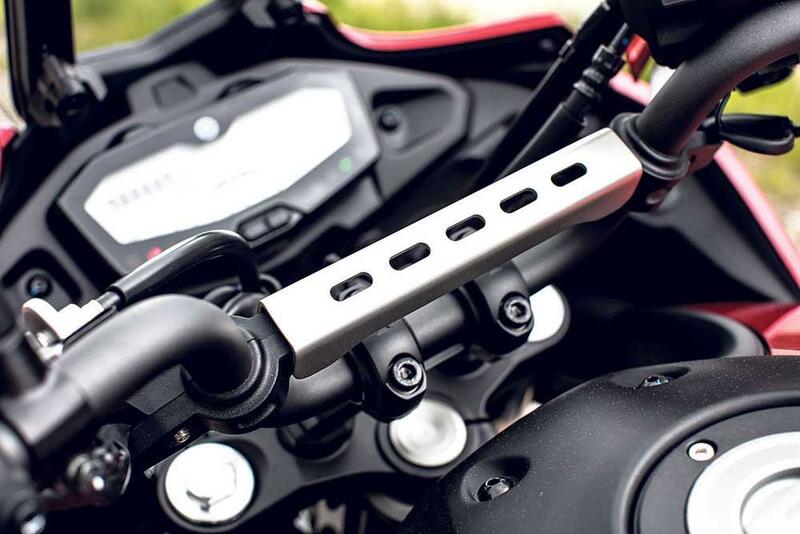 Although the same can’t be said for the rear shock, which is impressive when it comes to isolating your spine from the road’s hardest bumps but can be easily upset by rough down-shifting. Likewise the ABS-assisted four-piston front calipers provide decent performance but lack a bit of initial bite, and scrubbing off speed hard into a downhill hairpin - knees gripping the two rubber pads on the sides of the tank to take the weight off the bars - sends the brake levers pumping as the ABS kicks in a little too prematurely. The engine is identical to that of the naked MT-07, however the air intake and exhaust have been revised to meet Euro4 regs, but mechanically it’s the same character-packed 270° crank, twin cylinder motor generating the exact same performance: a usable 74bhp and punchy 51ft lb of torque. These figures may seem modest on paper, but down a twisty B road the Tracer’s output is ideal, making easy work of powering out of nadgery hairpins. There are two different versions of the Tracer 700: a full power model and a 35kw A2 variant. In order to meet with anti-tampering regs, the restriction has been made via a different ECU and revised air-intake size and cannot be converted to full-power once a rider graduates to an A1 licence. The build quality of the Tracer 700 and it's MT-07 sibling seems very high but this is a brand new parallel twin engine so only time will tell. 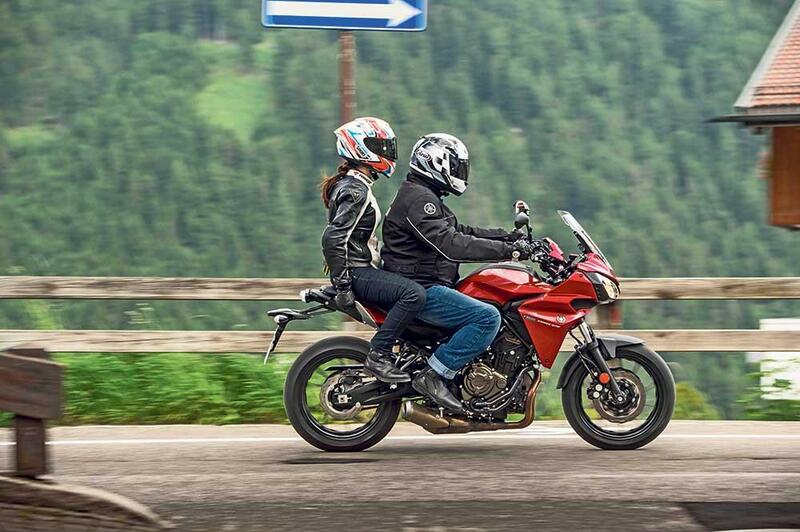 It just goes to show that you don’t need a heavy and expensive touring bike to get out and have an adventure; true sports-touring should be lightweight and effortless, and the Tracer 700 follows this ethos to a tee. With a fully fuelled weight of just 196kg, the lightest bike in its class, the gutsy twin floats around the outside of a red-faced German and his passenger on their half-a-tonne fully loaded tourer as he levers his behemoth around a bend. More than just an MT-07 with a fairing, the new Tracer features ergonomics that make it feel like a much larger bike. 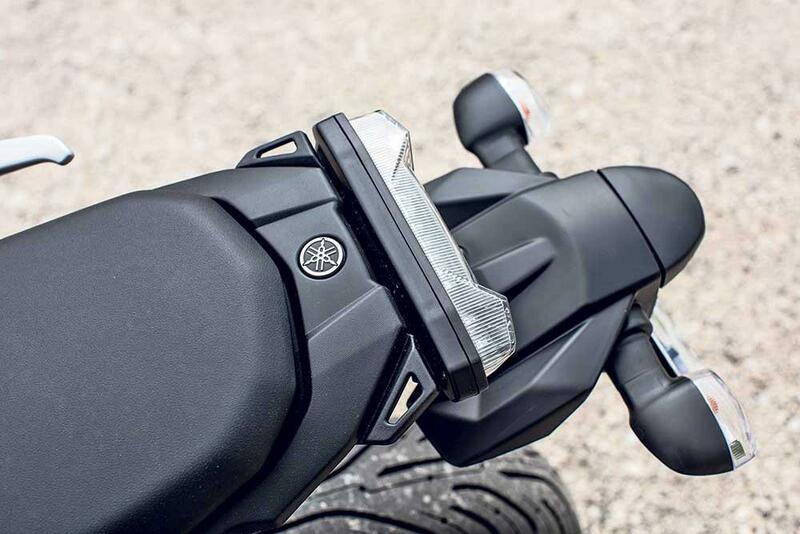 The footpegs remain in the same place as the MT-07 but a new rear subframe has raised the seat up by 35mm so there’s more legroom, meanwhile the bars have been raised and moved slightly backwards. 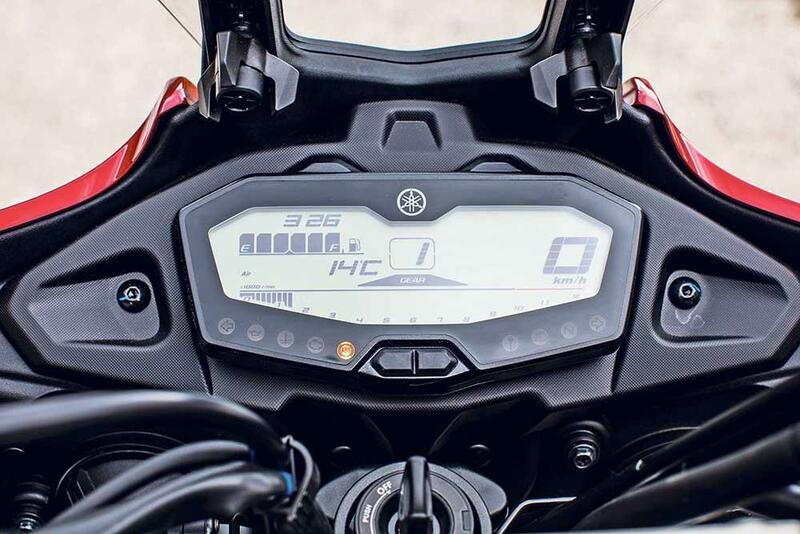 These changes create a comfortable but commanding riding position, especially when combined with the cocooning effect generated by the new 17-litre fuel tank (three litres larger than the MT-07’s), and the subtle wind-cheating effects of the manually adjustable screen, small handguards and bikini fairing. In the name of rider and passenger comfort, the Tracer’s bars are higher and further back than they are on the naked version. The vibe-dampening rubber-coated foot pegs remain in the same place, however as the Tracer’s seat is 30mm higher there’s more leg room. The 35kw power restriction is made via a different ECU and revised air-intake size. It cannot be converted to full-power once a rider graduates to an A1 licence. 6 owners have reviewed their YAMAHA TRACER 700 (2016-on) and rated it in a number of areas. Read what they have to say and what they like and dislike about the bike below. I bought my Tracer 700 new in August 2016 and have now ridden approximately 10,500 miles. If I had my time again and was in the market for a middle weight Sports Tourer, I would buy another Tracer 700. 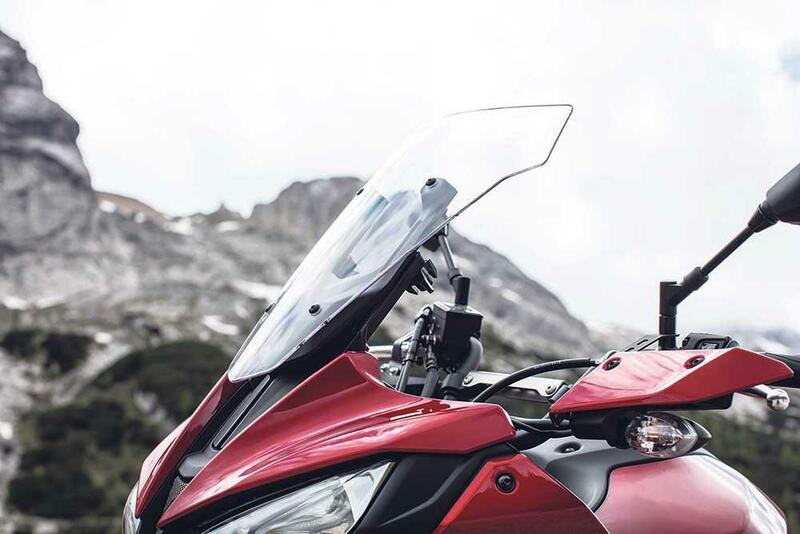 Yamaha offer a host of accessories to aid comfort including a comfort and a heated seat. Brakes are adequate. I have fitted a Hagon rear shock built for my weight. The oe Pilot Road 4 tyres are very well suited to the Tracer 700.  The MT-07 / Cross Plane 2 engine is a best seller. What more needs to be set. The engine is very efficient, torquey and fun. I believe the 0-60mph time is 3.4 seconds. 100% reliable as you’d expect from a Yamaha. The only aspect letting the Tracer 700 down is the finish on certain parts such as the coolant pipes, but these can be replaced under warranty. The Tracer 700 replaced my FZS600S Fazer, which was an excellent bike, again the finish on some FZS600S parts was poor. The 6000 mile service was £150 without the brake caliper cleaning. Fuel economy can be incredible if you potter around ~35mph (~95mpg) if you have to ride through a lot of built up areas. I average 67 - 70mpg. The worst I have achieved is 46mpg keeping the revs mostly above 7000rpm. For the basic price the Tracer 700 represents good value. Yamaha have offered a Touring Pack and Winter Pack over the years to offer accessories at good value. I spent almost £1000 on accessories when I purchased my Tracer because they were well made and offered good value I felt. The Tracer 700 had only recently arrived in the UK dealers, so I paid list price (£6299). However the new price now is £7199. Everything I want in a bike! Can only go about an hour withou needing a break, could do with a touch more padding in the seat. I still can't get used to the sound, but then I've never ridden a twin before. Would have given it 5* if my wing-mirrors would stay in position! Fantastic running costs - I'm getting 60mpg. Bike comes as standard with Michelin Pilot 4's, which are faultless. Could do with a little more space under the seat. The standard Yamaha luggage needs some alteration to fit, which is a pain - but very nice once on. Having had a 1200 Super Tenere before and wondering what Yamaha thought they were up to creating such a lump at 267KG and £13k+, I was very surprised by the Tracer 700. Stylish, light [196kg], very well priced [I'm an owner of 4 previous Vstrom 650s and its £500 less than them]. Yamaha must have revised the brief completely and possibly fired the old team because this one is a beaut. The seat is ok - quite hard but room to move around to relieve pressure on different parts. Pillion seat is quite small but I'm told is comfortable enough. Brakes are quite adequate for road touring. I will going to the Alps on it later this year and don't expect dramas. I bought the touring screen as I'm 6'1" and the standard screen meant my shoulders were being buffeted at 70-80mph. Hence the 4/5. Also, the bike is light and carries the weight very low down so it feels completely manageable during low speed manouevres - someting the Superten was a nightmare with and to a much lesser extent the Vstrom. Actually, don't know yet as I've had it 2 months but Yamaha are normally very good on this and, actually, I couldn't fault the SuperTen on this either. Don't know the cost so put £1 above so the field would accept it. Once a year or 7,000 miles so twice the interval of the Vstrom 650. A year is perfect as I need the bike checked out for safety etc at the end of a year. I don't imagine the cost will be any greater than my previous 3,500 mile services and there will be half the number of them! Good display info with 2 trips, mpg, ave mpg, ambient temp, engine temp - 4/5 because you don't select options on the handlebar as per, say the Vstrom, but you have to lean forward and press the button under the display to toggle the options. It's a bit too budget for the bike but I can live with it. Accessories ordered for touring - Givi Racks for side panniers which can be easily removed - brilliant. Centre stand from SW Motech - vital in my view. Heated grips - Yamaha and very effective. Buzzer for indicators so you get an audible warning when you've left them on - could save you from a car pulling out one day! 12v socket. Crash mushrooms. I bought from P&H in Crawley from whom I've bought 5 bikes - a great experience as always! The best bang for your money on a budget end sports tourer. A great bike for even a tall rider like me. The wind protection is very impressive as is the ride comfort. But it feels very light and nimble for a bigger tourer and is the most fun having owned similar bikes in the class. Great fun and much more nimble feeling that other bikes in the class. seems good so far. Not had a chance to put to many miles on it but as a budget ended spectrum bike the equipment all seems ok. The indicator switch is a little fiddly. seems good so far. as a new bike had not had to service it yet but its average Yamaha service costs and it seems very frugal on the juice as well. Got a great deal with all the touring kit for free as a demo unit with 300 miles on it. well pleased. great tyres and lovely dash with everything you need or would expect. Bought from a dealer and got a great deal for the demo unit. Would certainly use the main dealer again.